Hearts came from behind to deservedly beat Aberdeen 2-1 at Tynecastle this afternoon. 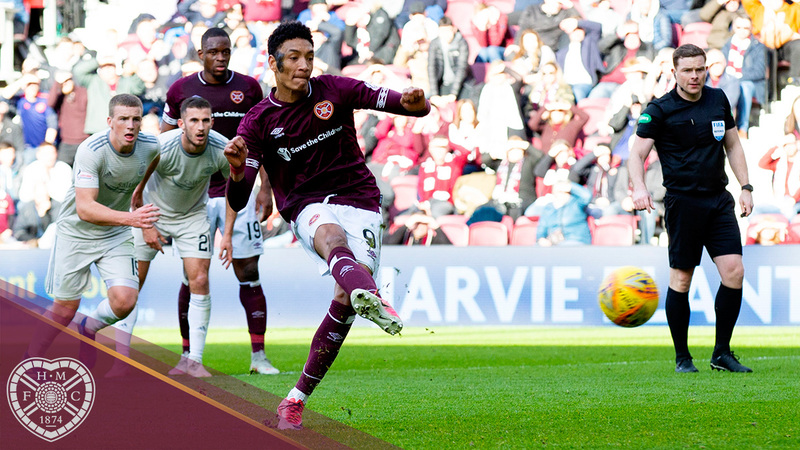 Trailing at the break after Connor McLennan’s opener, the men in maroon came flying out the traps in the second half and got back on level terms through Sean Clare’s penalty before Uche Ikpeazu grabbed a fantastic winner 13 minutes from time. Craig Levein made three changes from the side that lost at Hamilton prior to the international break. Long-term injured Ben Garuccio was replaced by Conor Shaughnessy while Ikpeazu and Craig Wighton came in for Callum Morrison and David Vanecek. 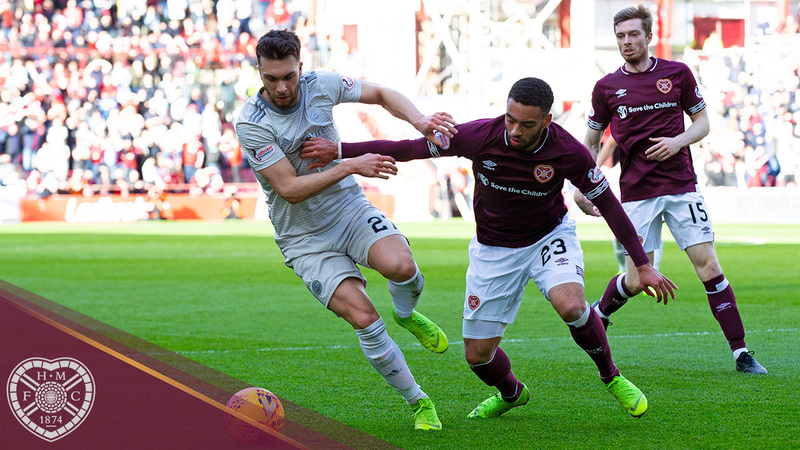 The visitors saw plenty of the ball in the opening stages but it was the Jambos who registered the first shot on target after ten minutes. Ikpeazu burst forward after holding off his man before hitting a low drive from 20-yards, but it was straight at Joe Lewis. The warning signs weren’t heeded however, as Aberdeen opened the scoring on 16 minutes. Niall McGinn’s corner was met by Sam Cosgrove, whose header crashed back off the crossbar and McLennan was first to react, nodding into the back of the net. The Dons kept up the pressure, with Graeme Shinnie bounding through the middle of the park seven minutes later before letting fly from 25-yards but his effort flew inches wide of Zdenek Zlamal’s right-hand post. Hearts grew into the game and by the half hour mark were the more dominant side. A loose ball broke to Arnaud Djoum 30-yards out and he blasted towards goal but missed the target by a few yards. The Dons gave a timely reminder of how dangerous they could be with four minutes of the half remaining. McLennan curled a cross into the box for Cosgrove to loop a header on target but Zlamal leapt to claw the ball over the bar. Shinnie followed that up minutes later, striking from distance but Zlamal beat the ball away on his line. Hearts should’ve been back on level terms five minutes into the restart. Christophe Berra’s ball over the top was spilled by Lewis at the edge of the box and bounced to ikpeazu, but with the goal at his mercy he could only knock wide. The Jambos were handed the perfect opportunity to level things up on the hour mark when Jake Mularney went on a run from his own half into the Aberdeen box before being hacked down by Andy Considine. Clare stepped up and sent Lewis the wrong way to make it one apiece. There should’ve been another penalty for the men in maroon moments later. 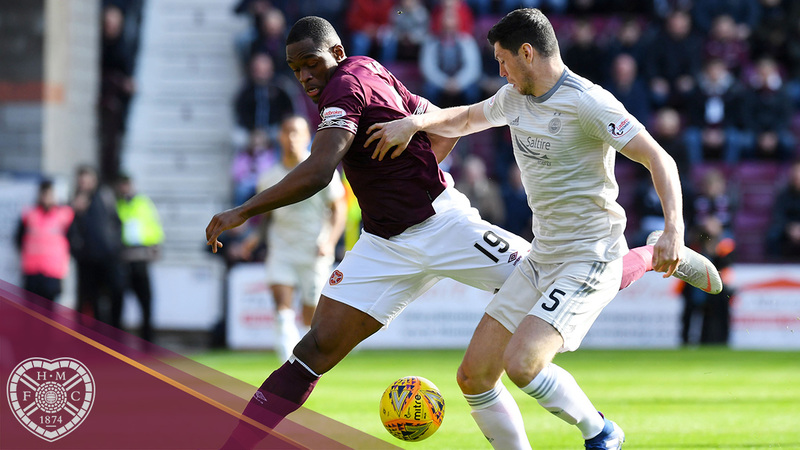 McGinn’s backpass was short and Ikpeazu beat Lewis to the ball before being tripped, but referee John Beaton instead booked the Hearts striker for diving. Ikpeazu was now a man on a mission, and on 64 minutes held off two Dons defenders at the edge of the box before turning and slamming an effort goalward but it was straight down the throat of Lewis. Hearts were well on top by this point and were denied a goal by the heroics of Lewis. Shaughnessy’s free kick was nodded across the face of goal by Berra and Wighton was able to bring it down and shoot, but Lewis bravely dived in to make the block. Though Hearts were in control, Aberdeen still threatened. McLennan managed to break away from Haring on 76 minutes and get to the edge of the box before hitting a left-foot shot narrowly over the bar. A minute later, the maroons took the lead that their play so richly deserved. A ball forward was misjudged by Considine then completely missed by McKenna, who went to head it, allowing Ikpeazu to run into the box before curling an right-foot effort around Lewis and into the back of the net. That was to be Ikpeazu’s last action of the game, he was substituted off with a head knock after landing on the back of his head following an aerial challenge. 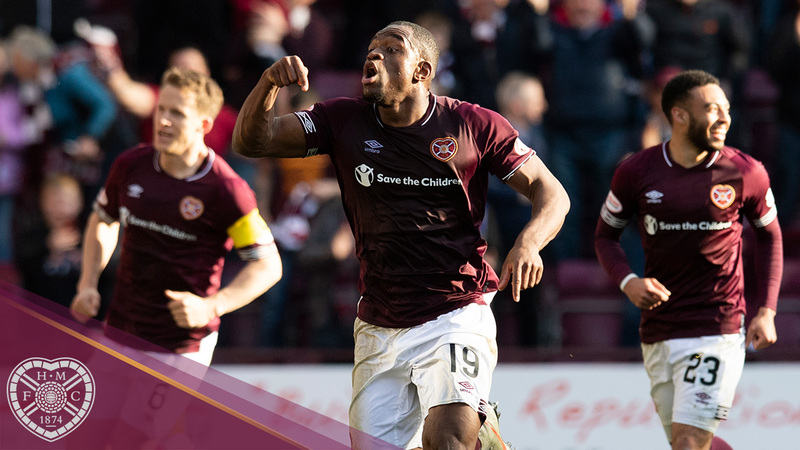 Chances were then few and far between but it mattered not as Hearts saw out the game to record a massive three points heading into a hugely important two weeks for the club. Hearts: Zlamal, Shaughnessy, Souttar, Haring, Berra, Clare, Djoum, Wighton, Ikpeazu (Bozanic, 80'), Mulraney, Brandon. Subs: Doyle, Lee, MacLean, Cochrane, Godinho, Keena. Aberdeen: Lewis, Shinnie, McKenna, Stewart (Wilson, 80'), McGinn, Cosgrove, Ferguson, Ball, McLennan (Devlin, 87'), Lowe. Subs: Cerny, Gleeson, Halford, May, Campbell.